Join us as we celebrate 20 years of health, fitness and fun! The NBC4 Health & Fitness Expo Team is already hard at work planning our 2013 20th Anniversary Expo! 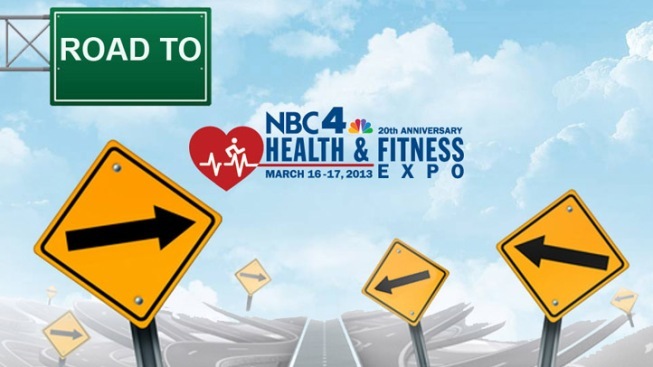 See what we offered at our 2012 NBC4 Health & Fitness Expo to get you excited. Our 20th Anniversary is so BIG, for 2013 we’ve moved the Expo from January to March to give us two more months to get ready! But we’re gearing up from now until March to help keep Health & Fitness top of mind. Check out these special Road to the Expo events and activities to keep you healthy and fit!